A young entrepreneur from Cardiff has won a special bursary award as part of a new partnership between Cardiff Business Club and youth charity The Prince’s Trust Cymru. 24 year old Daniel Williams won £1,000 to help develop his business Visualise Training and Consultancy, which promotes inclusion and equality in the workplace for visually impaired people. To be nominated for the award, the business was required to demonstrate sustainability and have an element of community or social benefit. Diagnosed with a hereditary condition that causes a gradual loss of vision, Daniel experienced bullying at school and struggled to come to terms with being unable to enjoy the same things as his peers. Although Daniel worked hard and went to university, he struggled to hold down a job due to negativity from employers who wrongly thought he was less capable due to his disability. Instead of getting him down, Daniel turned to The Prince’s Trust to help him establish a business to improve organisations’ services for people with a visual impairment. Visualise delivers accredited training, access checks, workplace assessments, motivational speaking and mystery shopper services. 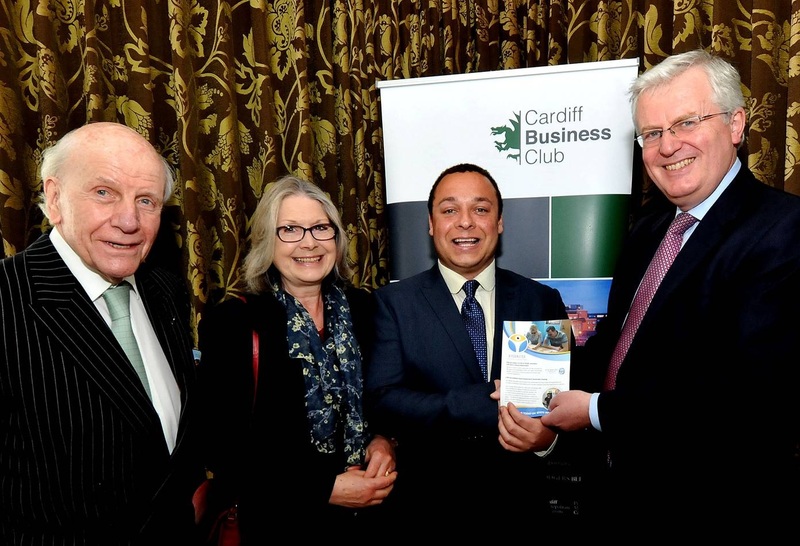 Scott Waddington, Chairman of Cardiff Business Club said, “Since 2005, Cardiff Business Club has recognised and supported many of the capital’s top performing business students during their studies, through the award of its own Bursary. The Prince’s Trust’s Enterprise programme, however, goes a step further in providing the invaluable infrastructure and mentoring that is needed to enable young people with a great business idea to start and develop their own business. The Enterprise programme has been helping young people start up in business since 1983 and has supported more than 80,000 new ventures to date. Well known businesses which began with help from The Trust include household names Dynamo and kids suitcase business Trunki. Youth charity The Prince’s Trust helps change young lives. It works with 13 to 30-year-olds who have struggled at school, have been in care, are long-term unemployed or have been in trouble with the law. Three in four young people helped by The Prince’s Trust move into work, training or education.